Description: Have you ever imagined what you'd look like if you were a mermaid? What sort of tail and fin would you have, how would you style your hair, what sort of fish would be your best friend? 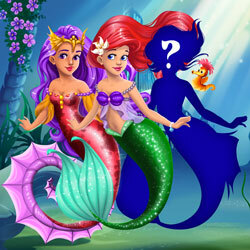 Well, now it's your chance to find out – create a unique mermaid character and have fun in the bubbles!